at Oranssi Concert Room, we will open the collective design for a Decentralised Venue. Here you can consult a 3D map of Helsinki City. During 2017-18 Pixelache Helsinki would like to investigate the best approaches and to coordinate the construction of a temporary pavilion to be built in Summer 2018 beside the DIY skate-park near Suvilahti. This structure should be an open one, to give shelter to local spontaneous activities. No doors, no electricity nor water. Just a warm roof and a free space for gatherings. 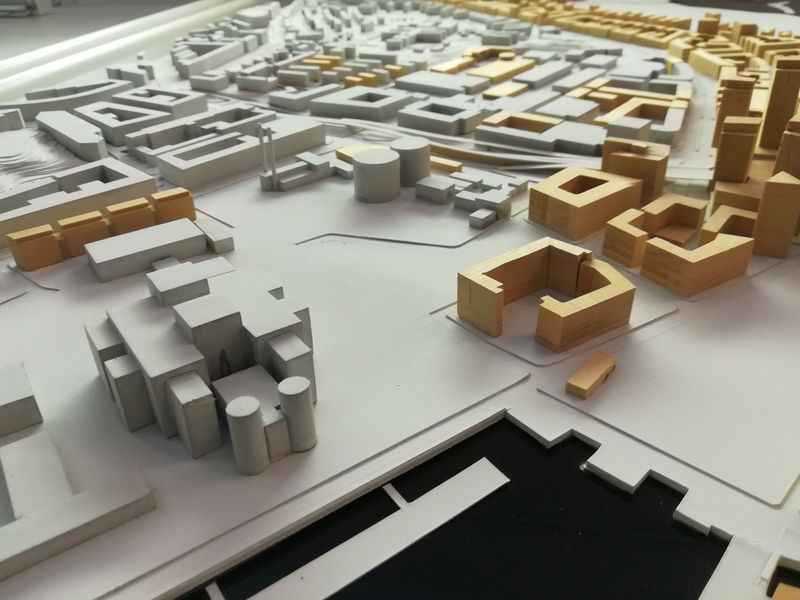 The Helsinki City has opened their urban planning to participation in several occasions, while the tendency to over plan public spaces is growing, leaving scarce possibility for spontaneous activities and little flexibility to the use by different age targets simultaneously. Also it seems that the majority of places for gathering, vital to feed the civil culture of our democracy, are always bond by consumption. Many capitals are suffering from an over planning malady which detaches the citizens no matter how many good minded incentives are created for their participation. It would benefit to leave strong degrees of freedom in spontaneous or temporary experimental infrastructure. So how to deal with this trend? With the construction of this pavilion we would like to address the lack of open public spaces offered for free, versatile to multiple uses, neutral in terms of commercial identity, always available for spontaneous activities, and at the same time giving shelter, considering the weather conditions in Helsinki around the year. The pavilion is to be built in July-August 2018. Documentation of the process will be published along the way. To coordinate this task we have hired an architect to help us out during the process, Pedro Aibéo. Pedro Aibéo is a trained Design Architect (M.Sc., Dipl. Ing., TU Darmstadt, Germany) and Civil Engineer (M.Sc., Licenciatura, FEUP, Porto) with over 50 buildings designed and built on 15 countries currently practicing at AIBEO architecture. He is also a Kone Säätiö Research Fellow, a Visiting Associate Professor at UNAM University, Mexico and at Wuhan University of Technology, China, and a Lecturer, Research Assistant and Doctoral Candidate at Aalto University, Finland on Architectural Democracy. He has also regularly lectured about Architecture at the Universities of QUT Brisbane, TU Darmstadt and FAUP Portugal. He is the founder and Artistic Director of Cidadania theatre+games group, Germany, with written and directed theater plays at the United Nations and the Staatstheater Darmstadt on urban slavery and astronomy. He is a professional Musician at Homebound and the founder and Chairman of the World Music School Helsinki ry. He is a drawing teacher at the croquis nights and at Kiasma in Helsinki and a comic novel writer on mathematics. He is a published current affairs author in several newspapers. In 2017 he ran as an independent candidate for the Helsinki Municipal elections. In the image above, an early stage of planning from year 2011, courtesy of the City of Helsinki, photo by Pedro Aibeo.